re-introduced late use on 2 x KG6 1d piece. C/JU 15 6 on KE7 1d (SG.86) piece. 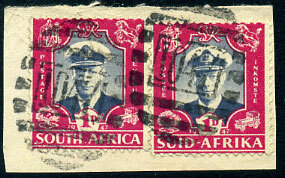 C/SP 4 5 on KE7 1d (SG.86) piece. 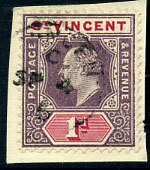 re-allocated use on 1897 4c (SG.130). 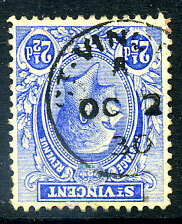 re-allocated use on 1897 2c (SG.128). 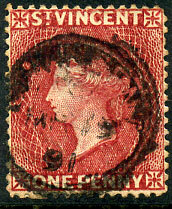 (6mm high) re-issued c1886 late use on 1880 QV 4d orange-red CC wmk (SG.20), straight edge at left. 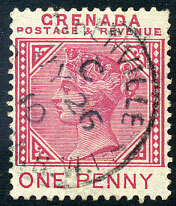 (re-introduced T.2) C/NO 10 8 on KE7 6d (SG.64). 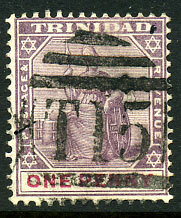 (re-introduced 072.03) */31 DE 57 on QE2 1/- (SG.217). 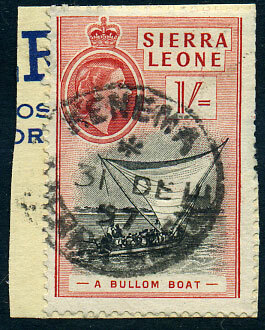 Re-introduced after use of the Kenema skeleton period 5 OC 56 to 29 NO 56, original use for QE2 found on 1953 Coronation issue only, so far. (T.1) B/SP -- 11 (day omitted) on QV 1d (SG.48). 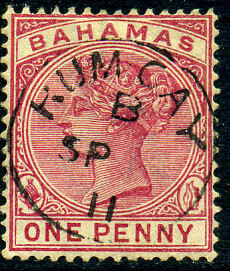 This cancel with "B" code only found only on re-issued QV 1d stamps due to a shortage of KE7 1d adhesives. "C" code being used on the earlier QV issues. (Re-introduced T.2) C/OC 9 9 on KE7 2d (SG.61). 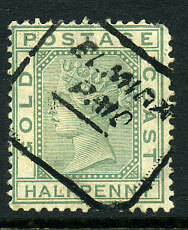 on pairs KG6 2d, 3d Royal Visit (SG.112,113). 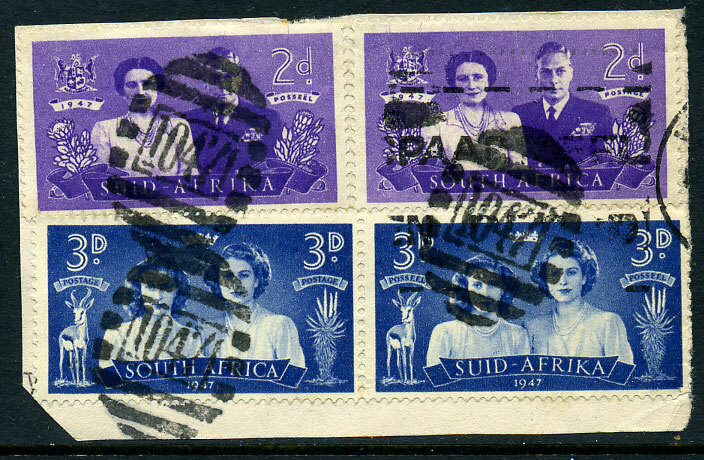 Late re-allocation subsequent to its return to the GPO stores in Cape Town circa 1902. 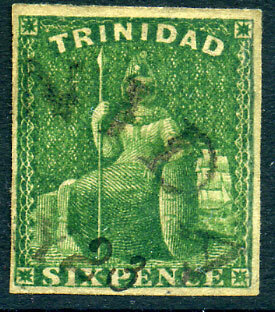 (T.3) undated on QV ½d (SG.11), corner perf. fault. A/OC 2 30 on KGV 2½d (SG.133a). 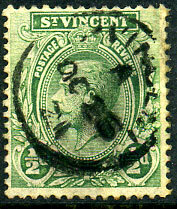 ST. VINCENT used NEW ADELPHI, St. Vincent postmark. 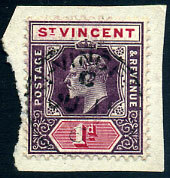 provisional use dated A/OC 26 21 on KGV ½d (SG.131). 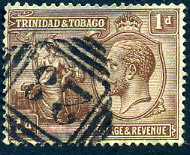 Office opened July 1st 1913 but did not receive its own datestamp until Sept 1931. C/MR 19 91 on QV 1d (SG.48c).